I met this Badass Mom, Bonnie, when I first arrived to Austin. I could already tell that this empathetic, compassionate, beautiful, talented, and insane woman would be my best friend. While all of these reasons are true, it’s her talent that is the main reason I’m her friend…I’m hoping to mooch off of her success one day. Bonnie is a wonderful mom to a sweet boy, Harvey, and wife to Kevin (not my Kevin, we’re not that close). She works full time as a graphic designer and runs a successful business, Archer and Olive. Through all of this, she never fails to put her family first. #workingmomgoals. Question: Your site, Archer and Olive, is growing so quickly, as is your super successful Youtube channel. Is this something you’ve always wanted to do, be a badass designer? Answer: Yes! I’ve been dreaming of making notebooks since I was a kid in Jr. High! Seriously. Her site, Archer and Olive, is a look into classic and creative stationary, among other things. Her notebooks and sketchbooks are among my favorites. Question: What’s your favorite thing to design? Answer: I love interactive stationery! Like dot grid journals and sketchbooks. Any piece of stationery that inspires others to create. Question: On top of being an awesome mom, you’re also have a huge social media presence. What advice would you have for someone just getting started on social media? Answer: Consistency and engagement! Plan in advance. That way you never run out of content. Question: You’re so busy and successful– what do you do for fun? Question: What’s your greatest achievement as a mom? Answer: Oh wow, that’s such a hard one!! I feel like my son is so great, but not because of anything I’ve done! I do feel proud that he’s happy! Question: What advice would you give to moms? Answer: My son is only 6.5 months old, but I will say, those first few months are SO ROUGH! But if you just hang in there, it REALLY gets better! 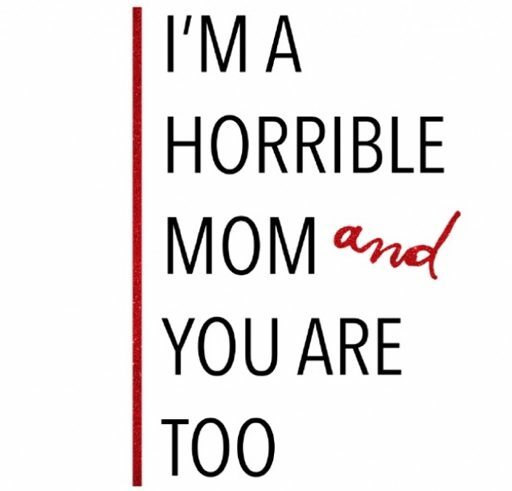 Question: What’s your biggest horrible mom moment and what did you learn from it? Answer: Hahahahaha. Well I get MAJOR mom guilt about working. I work from home, so I felt like I should be able to watch my baby and work (hahaha). Yea right! We got a nanny, which is great – but it kills me when I can hear him cry. Question: Do you have any fun projects coming up? Answer: Yes! I am launching a course this month in Gouache (which has been something I’ve been planning on for over a year) and am also adding some enamel pins to the shop! This year I’ll be working on a really fun project which I’m not quite read to announce. *Bonnie’s Gouache class is now ready for enrollment! Just click the link! Be sure to follow Bonnie on Youtube and Instagram! She’s incredibly talented, and I’m so happy to have her as a friend. A couple of gals before kids. Thanks for highlighting Bonnie and Archer & Olive. Very impressive, love her design and words!